The final day of the festival and I needed a good result to beat my previous years position on the festival. My weights were down this year which wouldn't help. We would be back on Bonzai today, the British summer has really settled in and it was looking like being a scorching day! An earlier draw today with an earlier finish to allow those travelling to get home. Peg 17 would be my home today, almost next to the road out of lindholme! I had an island chuck for the method feeder, as the island was a little over 16 metres away. The right hand margin was very tempting with plenty of fish activity so that would be a target, I also put in a 5 metre line that would be fished with meat or corn. A beautiful day awaited the whole of the field, blue skies, sunshine, but very little wind, which of course meant no ripple on the water. Today we would be on Laurels. Peg 69 was going to be my home for the day. This is the second peg from the white gate, near where the aerator used to be. 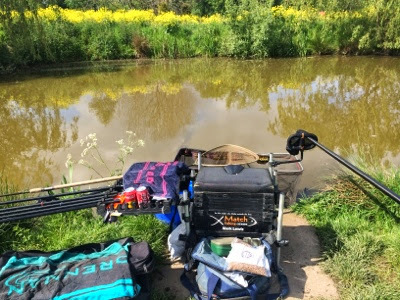 Top 2 + 2 Margin on the right 13 metre in open water straight ahead, full depth and shallowWaggler rodBomb Rod Bait options were sweetcorn, luncheon meat, worms, 4 & 6mm expanders with 6mm feed pellets and I mixed some groundbait to pot in on the margin lines. 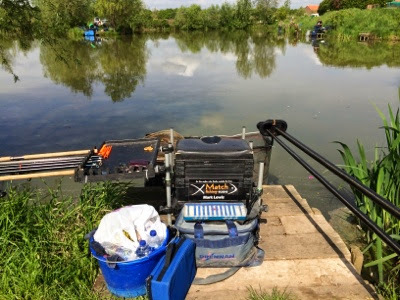 The big bash was also on a Lindholme today so we would all fit on Oasis, both out of the way of the masses and also able to park our cars behind our pegs for a simple unpack. I pulled out peg 35 which was a corner peg, very favourable area. The previous festival I was on the other corner so I had an idea of how to attack the peg. I was in a tough section with Lee and Jimmy, both who had perfect scores in the festival up to today. 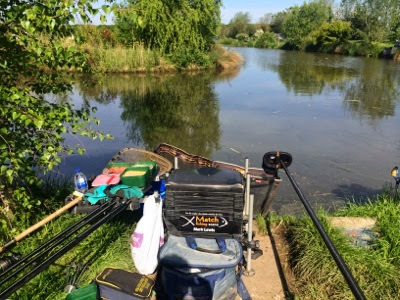 16 metres to the far bank on my right 16 metres under a tree to my left 7 metres straight ahead Top 2 keep net line Method Feeder to the far bank straight ahead Bait was as the previous days, sweetcorn, 8mm luncheon meat, maggot, worm, micro pellets and groundbait.